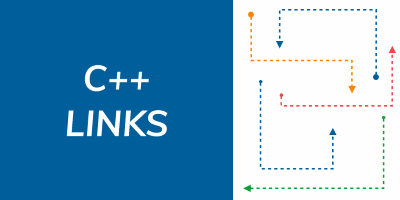 Welcome to new C++ Links - most important and useful articles, podcasts and videos that happen between 6th and 12th of October. 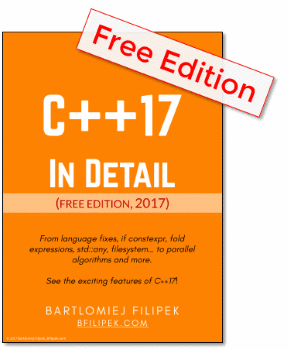 Today you will find a link to Core Guidelines rules about Concepts, a long article about C++17 class template deduction and a video that shows how inline keyword is taken into account by the compiler. At the end, you will also find a bonus! New post from Rainer Grimm, after last introduction to metaprogramming, today he writes about the most desirable C++20 feature - Concepts. C++ Core Guidelines already have rules about Concepts and Rainer describes a few of them in the article. Remember that current C++ Standard working draft already contains Concepts! Jonathan Boccara shows a technique useful for understanding code: counting words in code, like calculating the number of occurrences of each word in a given piece of code. How to avoid issues during a daylight-saving transition. New addition to the abseil library that makes it easier to convert between timezones, civil times and absolute time. Article on the Microsoft blog about C++17 feature - class template argument deduction. The introduction covers some common cases and there is also a section for experts with corner cases! Bonus 2: You can track the CppCon Youtube Channel where more and more videos from the latest edition start to appear!